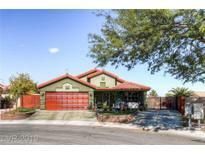 Below you can view all the homes for sale in the Casa Del Norte subdivision located in North Las Vegas Nevada. Listings in Casa Del Norte are updated daily from data we receive from the Las Vegas multiple listing service. To learn more about any of these homes or to receive custom notifications when a new property is listed for sale in Casa Del Norte, give us a call at 702-323-5963. Near Shopping & School Areas! DO NOT MISS OUT! MLS#2082775. 24 Hour Real Estate. Desirable Non HOA Community, Close To Regional Park, Restaurants, Shopping & Medical! MLS#2080273. Windermere Prestige Properties. Great curb appeal with bright green lawn! ! MLS#2080104. Allure Realty Group LLC. Don’t miss out, Make an offer today! ! MLS#2042794. Compass Realty & Management, L.